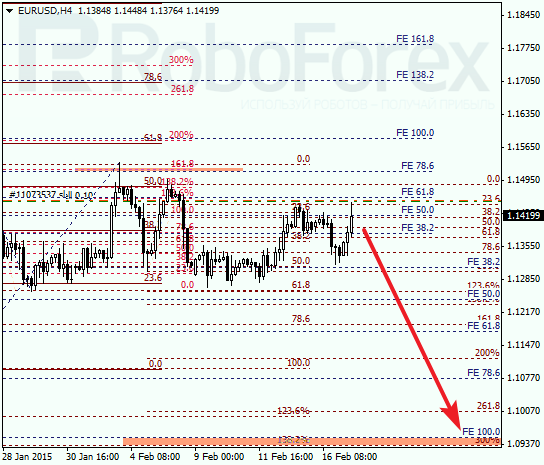 At the H1 chart, we can see the intermediate group of fibo-levels (1.1180). 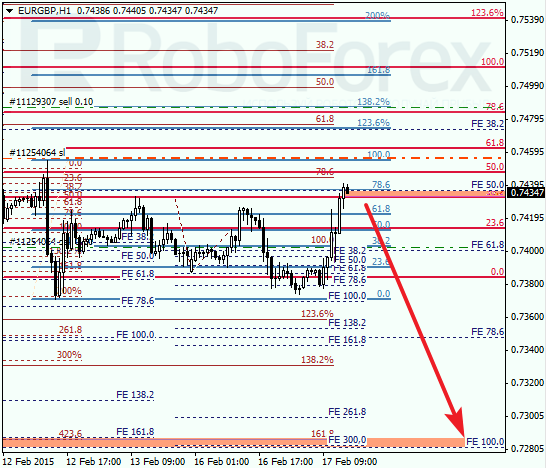 The pair has attempted to rebound from a correctional retracement 78.6%, which means that the market may start moving towards the above-mentioned levels. Possibly, later the pair may start a new short-term correction from the lower levels, thus allowing to open another sell order. 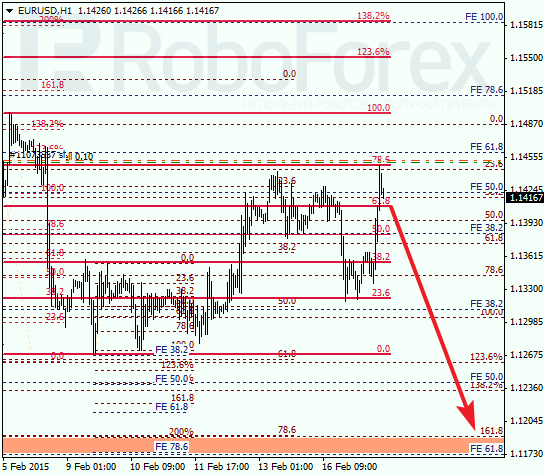 As we can see at the H1 chart, the price may complete the current short-term correction and rebound from retracements 78.6%. 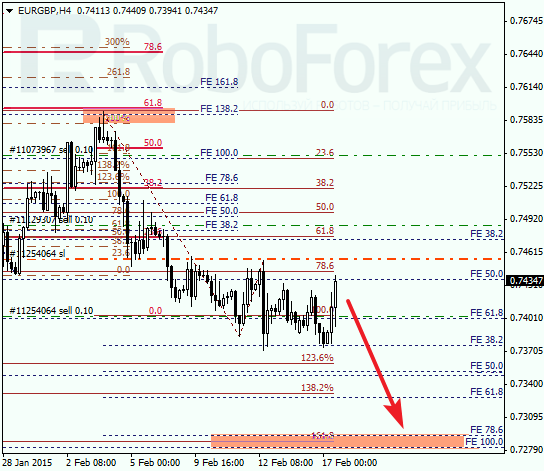 Later, the pair is expected to continue falling towards the predicted target area. I’m planning to move the stop loss on my previous order to breakeven when the price breaks the minimum.